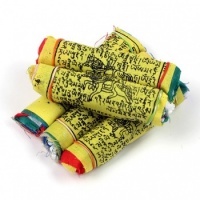 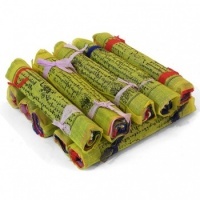 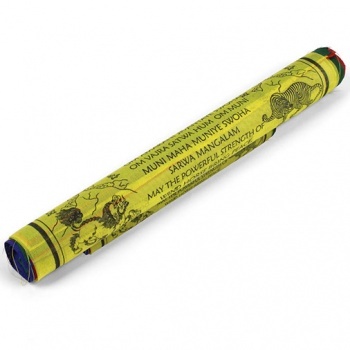 These are traditional Buddhist prayer flags that have been translated from Sanskrit into English. 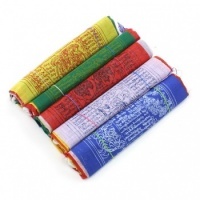 They depict Lungta (The Wind Horse,) Green Tara, Medicine Buddhas and Chenrezig (the embodiment of the compassion of all Buddhas.) 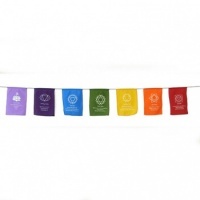 Each flag has a detailed screen print on cotton in the five elemental colours representing the sky and space, air and wind, fire, water, and finally earth. 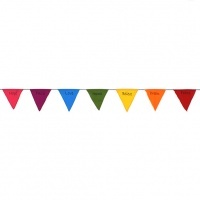 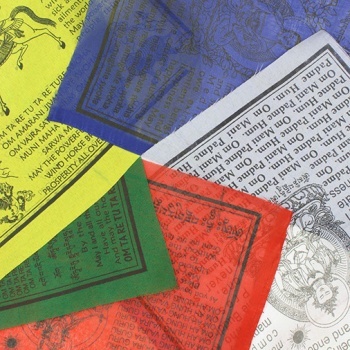 These colourful flags make excellent teaching tools. 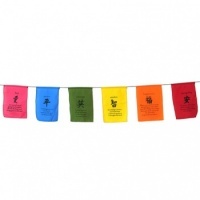 The prayer flags arrived very promptly and I am more than satisfied with them, especially as they have been translated and I can now appreciate the beauty of the words.